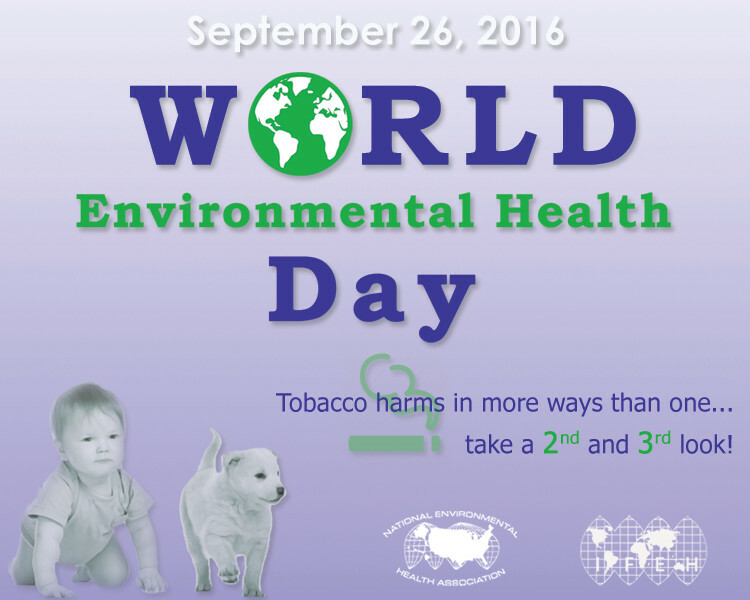 NEHA is planning to celebrate World Environmental Health Day on September 26, along with the International Federation of Environmental Health (IFEH) and many other organizations to shed light on the important work of environmental health around the world. This year's theme is tobacco control and NEHA is focusing specifically on the negative health effects of second and third hand smoke to both individuals and societies. We invite you to join us to raise awareness of World EH Day and the environmental health implications of the growth, sale, and use of tobacco products. Look for additional information and resources to be posted on this page before the call.